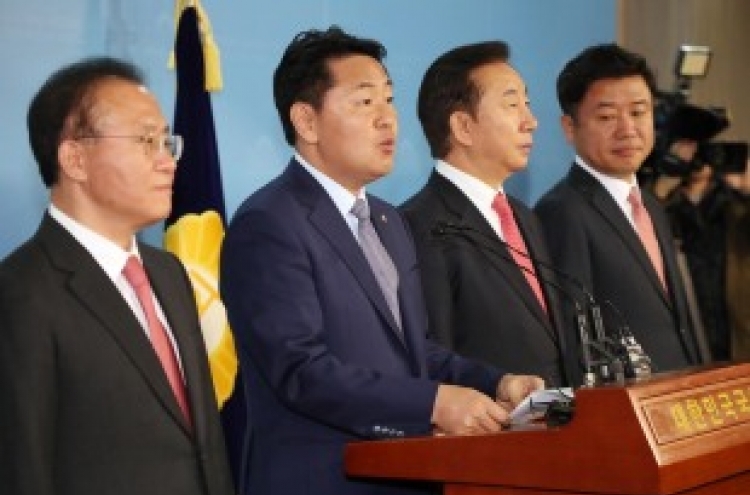 The opposition parties on Monday continued raising pressure on the presidential secretary for civil affairs, as President Moon Jae-in remains silent on the recent series of misconduct by Cheong Wa Dae officials. 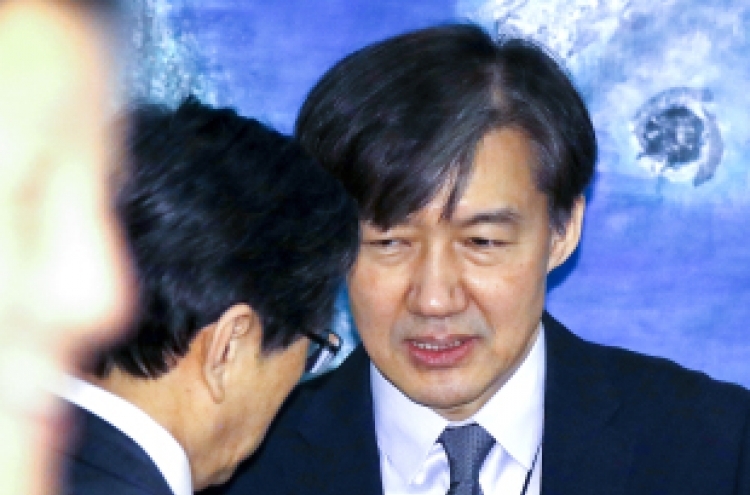 On Monday, the conservative main opposition Liberty Korea Party renewed its criticism of Cheong Wa Dae over related matters, with its interim leader Kim Byung-joon accusing the administration of turning a blind eye to wrongdoings within its ranks. The party’s floor leader Rep. Kim Sung-tae followed with stronger words, saying that Cheong Wa Dae lacks the tools to address the situation. “Cheong Wa Dae has a screw loose, but there is not even a (screw) driver to tighten the screw,” Kim Sung-tae said. Cho, as well as other high-level officials of the Moon administration, have been accused of pushing their own agenda and attempting to further their political careers while neglecting their duties as aides to the president. While Moon has yet to directly address the issue, the ruling Democratic Party on Sunday issued an apology to the public, apparently prompted by Moon’s social media message. Lee’s statement that “wrong” elements will be “cut out” prompted speculations that the sentiment that Senior Secretary for Civil Affairs Cho Kuk should take responsibility may be taking hold within the ruling party. Lee refuted such speculations, and stressed that the Democratic Party supports Cho in a statement released Monday. Complaints about misconduct by Blue House officials began brewing in early November, when an official with the Presidential Security Service was taken into custody for assaulting a civilian while drunk. What appeared to be an isolated incident of personal misconduct was soon followed by a senior presidential aide driving under the influence of alcohol. In the incident, Moon’s Secretary of Protocol Kim Jong-cheon was caught driving heavily intoxicated near the presidential office on Nov. 23. Kim handed in his resignation on the same day. The incidents were followed by the revelation that an official with the special inspection team attempted to gain information on a police investigation. While the official in question claimed that he was gathering intelligence in relation to his duties, it was revealed that the police investigation involved an acquaintance of his. The case was soon followed by additional allegations of misconduct by officials on the team, which led to Cho announcing that all team members will be sent back to their home organizations. The team comprises investigators selected from the police and public prosecutors’ office.